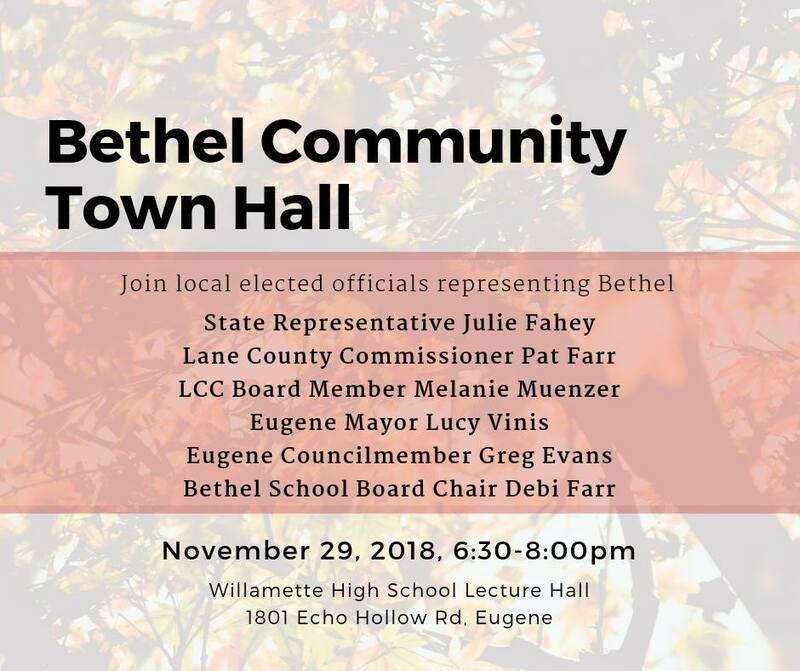 This fall, we’ll once again be bringing together elected officials who represent the Bethel area across levels of government to talk about issues impacting our community. We hope you’ll join us to hear what we’re working on and to share what’s on your mind. Reasonable accommodation available upon request. Contact Rep Fahey at rep.juliefahey@oregonlegislature.gov or 503.986.1414 to request accommodations or for more information on the event.